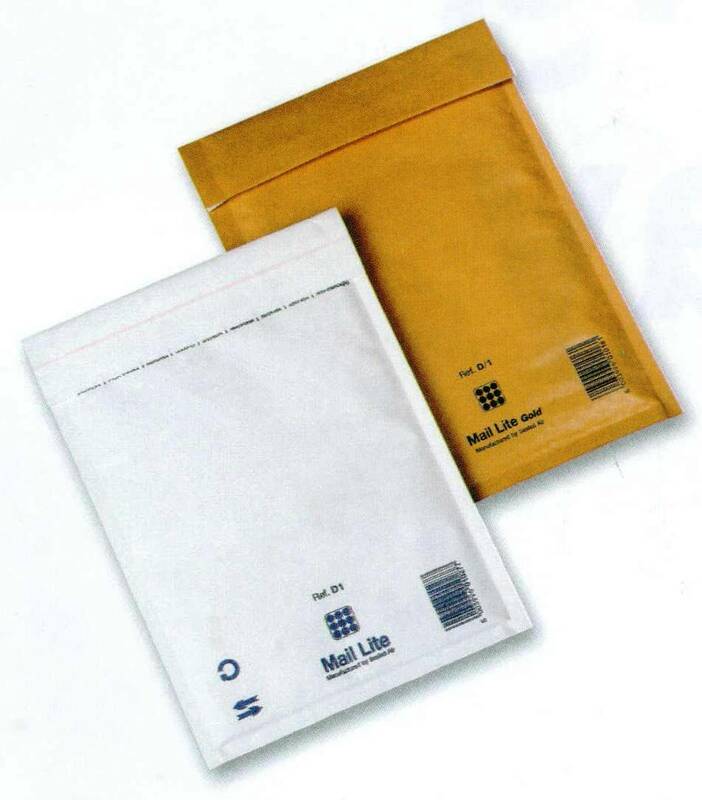 Mail Lite®: lightweight, cushioned sealed air bubble packs. Available in white or gold. Mail Lite® Plus: lightweight but tougher outer paper and tougher side seams. Available in oyster. An order consisting of more than 29 cartons of postal bags is considered a bulk order. The total order quantity can include any combination of Mail lite White, Mail_Lite Gold and Mail Lite Plus. The figures in the three columns printed in blue represent the prices for three quantity ranges. Prices shown in the first two columns printed in black refer to 'smaller orders' consisting of less than 30 cartons of postal bags. The total quantity can be made up of any of the three type of postal bags as described above.